Illuminate the Advent season with this wonderfully accessible service, featuring easy SAB arrangements of traditional Advent carols and psalm settings. Click the play button next to a song to preview it. This modest collection is aimed at fulfilling the need for Advent music that is within the capability of the average singer in a small parish choir. It is also an attempt to augment the repertoire of Advent music for the assemblies these choirs serve. Like flashes from a prism, these carols illumine facets of the season that help greatly to pierce and parse aspects of this holy time into tangible portions. The model structure for the whole of this program is, of course, the well-known Service of Lessons and Carols celebrated annually at Christmas time by choirs around the world. Many of these songs are designed to be sung by both the assembly and the choir. May they prove a blessing for your community. Featuring traditional Advent carols and psalm settings, along with readings, assembly parts, optional percussion and piano overture, this beautiful collection of music is delightfully modest in its simplicity. Written with the assembly in mind—and modeled after the well-known Service of Lessons and Carols, celebrated annually at Christmas time by choirs around the world,—The Advent of Our God is certain to prove a blessing for your community. 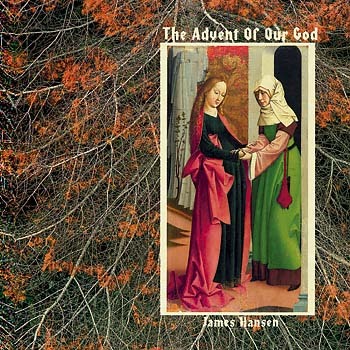 Unique in its approach, this set of songs from James Hansen is aimed at the average parishioner, lifting them, their spirits and their voices to God with joyful praise. The structure is familiar, and helps shine the light of the Lord on the different aspects of this holy time by breaking them down into tangible portions. Share a greater understanding of the season with your assembly by engaging them with this collection of lovely, lively songs!